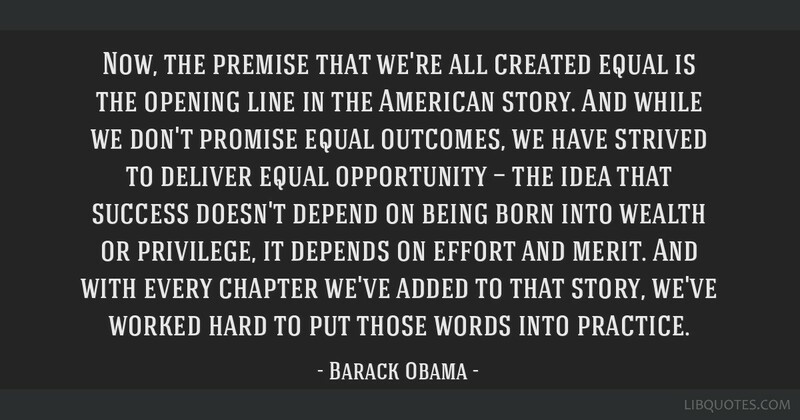 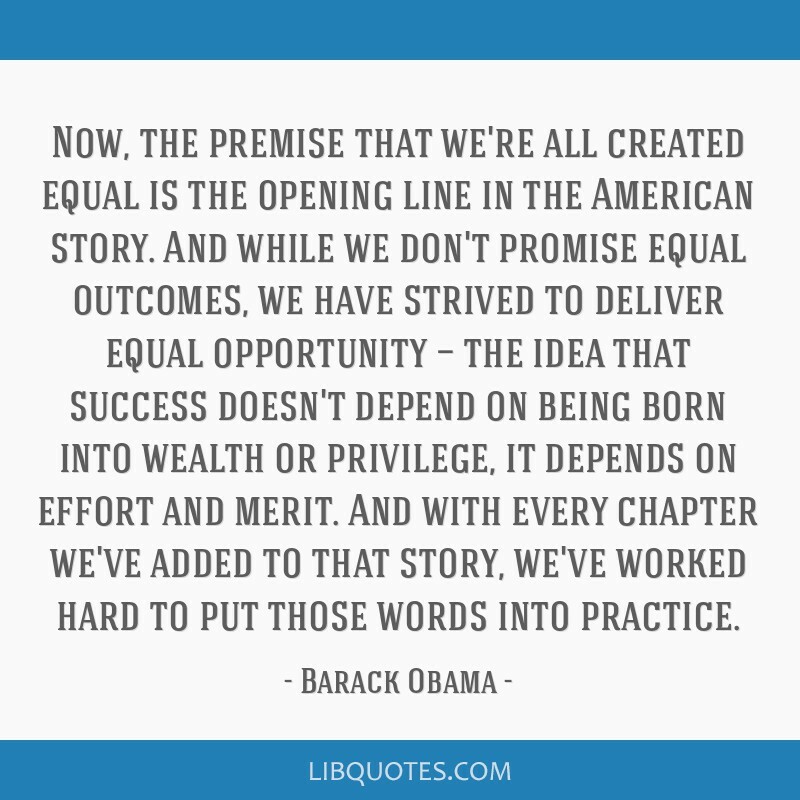 Now, the premise that we're all created equal is the opening line in the American story. 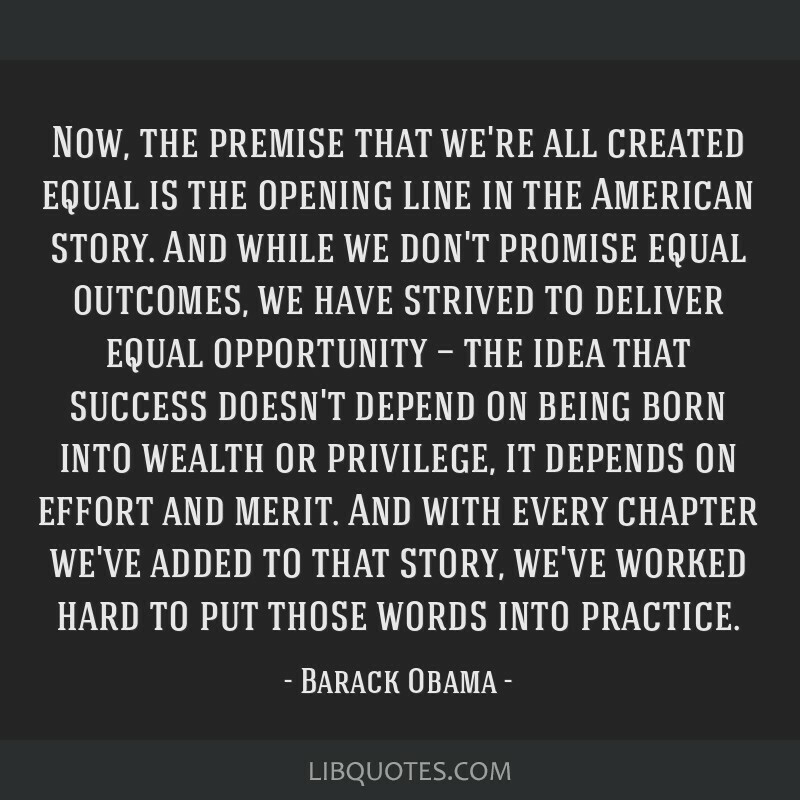 And while we don't promise equal outcomes, we have strived to deliver equal opportunity — the idea that success doesn't depend on being born into wealth or privilege, it depends on effort and merit. 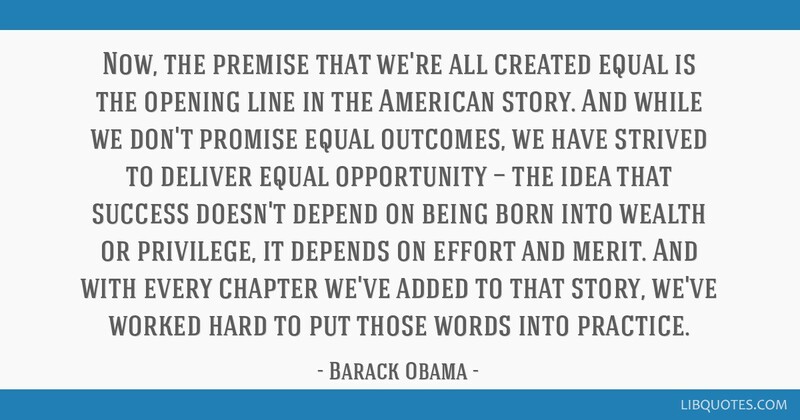 And with every chapter we've added to that story, we've worked hard to put those words into practice.